What this Sulfate Free detergent can do for you:It infuses fabrics with essential and effect ingredients for deep cleaning. <br />All Fresh Clean Essentials Sulfate Free Liquid Laundry Detergent is a new kind of clean because it is sulfate free. You get a powerful clean without harshness. The sulfate-free formula infuses fabrics with essential, proven and effective ingredients for deep cleaning and stain lifting even on the toughest stains. What this Sulfate Free detergent can do for you:It infuses fabrics with essential and effect ingredients for deep cleaning. Caution: In case of eye contact, flush with water. If swallowed, drink a glass of water. Call a physician. Keep out of reach of children. Ingredients: Sulfate Free Surfactants, Whitening, Brightening Agent, Polymers, Natural Enzyme, Coconut Fatty Acid, Glycerin, Citric Acid, Protectant/Preservative, and Purified Water. Instructions: Pre-Treating:Rub a small amount directly on stain before washing.Check an inseam for colorfastness.Contains 23 loads as measured to just below line 2.Large LoadFill between lines 3 and 4.X-Large Load:heavily soiled loads: Fill just below line 5. I received a free bottle of all detergent sulfate-free from smiley360. I used to use all dye free detergent and had switched to a cheaper brand. Now that I got to try this kind I'm really not sure why I switched I now realize some things can't be replaced for something cheaper because you definitely get what you pay for when it comes to all detergent! I received a free bottle of All Fresh Clean Essentials Sulfate Free Detergent from Smiley360 in exchange for my honest opinions and review. 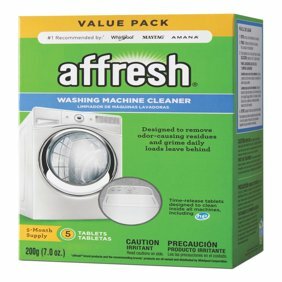 The detergent smells very good and is thicker than other ones I have used. It cleans the clothes well and leaves them with a fresh scent that lasts days. I didn't have very hard stains to get out, so I can't review how it works on those. I would definitely recommend this product. all® fresh clean Essentials™ is a really great detergent. I did not expect much of it for some reason. But much to my surprise it actually did a very good job getting everything cleaned. My daughter plays soccer and baseball and the all fresh clean essential, did a great job at taking out all the mud and grass stains. Like all of my close I did let them pre-soak before I started the load. When the clothes came out they smelled fantastic and there were no other stains on them. I have recommended this product to friends and family and they also really enjoy all. The only thing I did not really like about this product was that the fragrance of detergent was not strong enough for my taste. I prefer detergents that have a very strong clean and fresh smell. While all fresh and clear Essentials did have a fresh clean smell, it was not a very strong one. Other than that I loved this detergent. I did receive this product for free in exchange for my honest review. I pride myself in giving 100% honest reviews. I've used all detergent products before, mainly the normal free & clear line but this was my first time trying out the Fresh Clean Essentials Sulfate-Free detergent. I tried the fragrance-free one & I typically use non-fragrance detergents so I had no qualms with this. My laundry was clean after use and had no lingering smells. I didn't experience any skin irritation from my clothes or towels while using this either. I have yet to have to use it to treat a stain, nor had any laundry that needed extra cleaning so I cannot comment on their "tough stain-removal" claim, though I am a little skeptical. I do appreciate the smaller list of ingredients along with the explanations of each. While I don't feel like this detergent does any better job than others, I think it's a great option for a sulfate-free & more gentle detergent. Note: I received a free product for the purpose of my review. Opinions are 100% my own. I received a free sample of All Fresh Clean Essentials sulfate free laundry detergent from Smiley36. I recently used the detergent and it was great! I like that it is sulfate free and has a nice clean fresh sent. I suffer from eczema and very sensitive skin so it is always challenging trying to find a laundry detergent that does not irritate my skin. I like that it has a slight scent verse no sent at all. The product was also very easy to use...control spill top is awesome! My only negative is that the product comes in a small bottle. I usually use more liquid. However I would recommend this product to anyone living with sensitive skin and likes to use scented products. "I received a free product for the purpose of my review. Opinions are 100% my own."